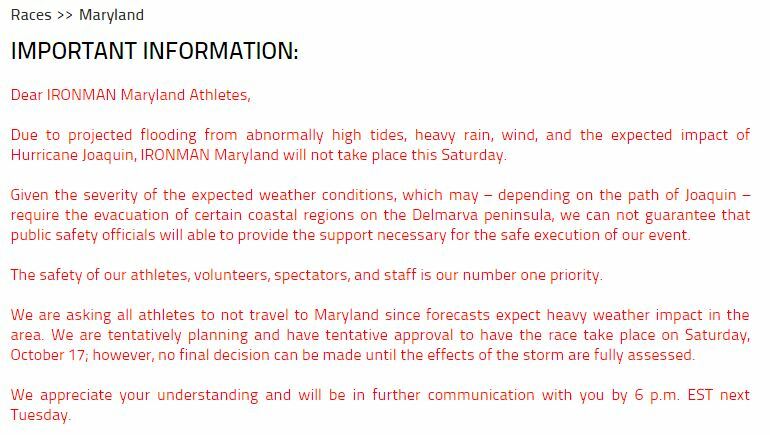 Who would have expected to hear “IronMan Maryland 2015 Postponed”? While I was disappointed, general safety is important for a successful event and I agree with the race director’s decision (after an hour of expletives and whining about first world problems). I can only wait for Tuesday night’s update.